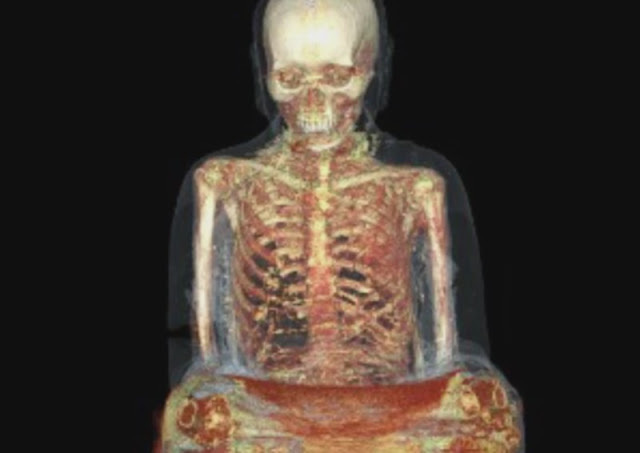 Home » »Unlabelled » This monk was buried alive 1,000 years ago. Now he’s horrifying scientists after being found at a flea market. 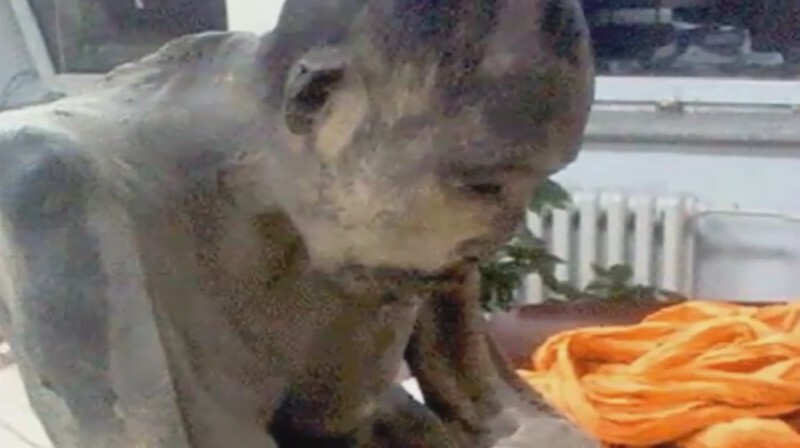 This monk was buried alive 1,000 years ago. Now he’s horrifying scientists after being found at a flea market. 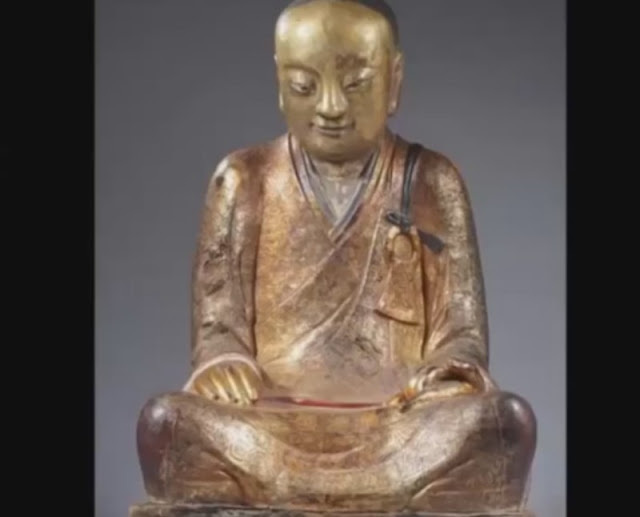 This statue from China is almost 1,000 years old. It depicts a smiling Buddha. This type of statue has become very popular all over the world in recent years, but THIS statue conceals a fantastical secret. 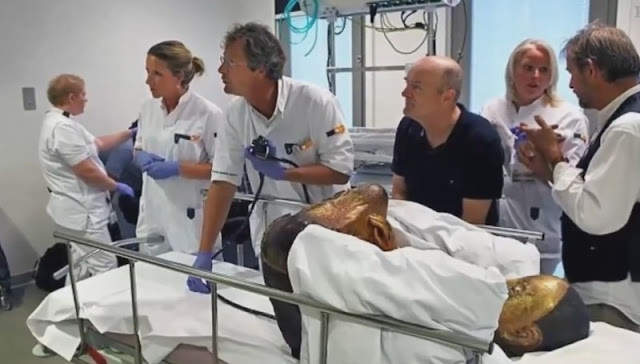 In order to learn more about the fascinating statue, researchers give the “oldest” patient in the world a CAT scan. But what they discover inside is something no one ever thought was possible. 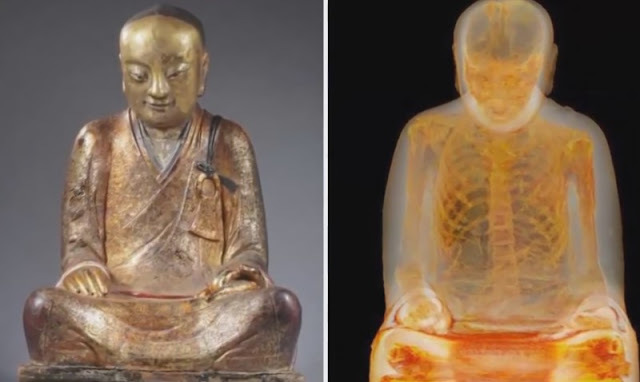 Inside the statue is the skeleton of a Buddhist monk, completely preserved. 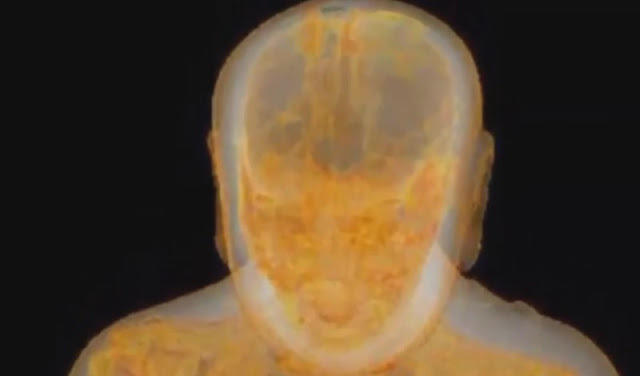 But what was done to this monk, is something the researchers can hardly believe. 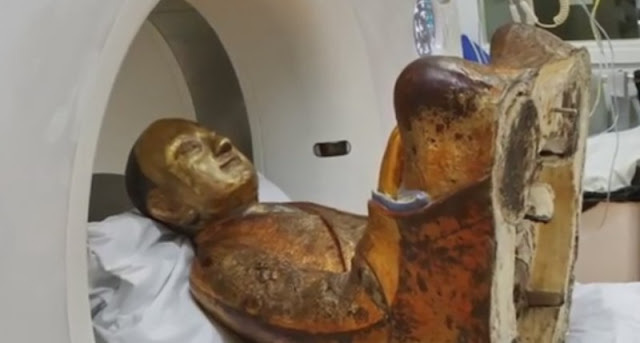 The monk was most likely mummified inside the statue through a complex procedure. Among other steps, this procedure involves drinking a special poisonous tea and being buried alive inside a large stone grave. The monk continued meditating inside the grave, to reach enlightenment. He breathed through a hidden tube and rang a bell to signal that he was still alive. When the bell fell silent, he remained in the tomb for another 1,000 days. The man that the researchers found, however, is not just some monk, but Liuquan, an influential figure in the history of Buddhism who lived almost 1,000 years ago. Because he was so important the researchers believe that he was removed from the tomb and turned into a Buddha statue. The researchers were surprised to discover his inner organs were removed that through his transformation. In their place they found pieces of parchment with mysterious Chinese characters. The meaning of these characters is still being feverishly decoded by the researchers. Such Buddhist mummies are commonplace. For example, in January 2015, archaeologists found the corpse of a 200-year-old monk in Ulan Bator, the capital of Mongolia. Even in death the monk assumed the Lotus Position and appeared to just be sleeping. Today, Buddhists say that Liuquan and the second monk have reached enlightenment through their meditation and so are not actually dead. They are only in a deep phase of meditation. If that is true, you really have to ask what Liuquan thinks of the world today, witnessed over his long trip from China to Europe into the “Drents Museum” in the Netherlands. He probably doesn't find it half as fascinating as we find him. For that reason share this story of this “immortal monk” with all your friends. And when you have time, go visit him yourself in his museum to see his smile in person! How can a dead man come alive. is immortality possible even at this highly developed world.